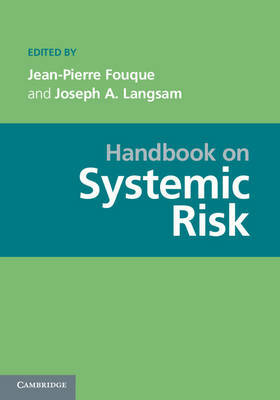 The Handbook on Systemic Risk, written by experts in the field, provides researchers with an introduction to the multifaceted aspects of systemic risks facing the global financial markets. The Handbook explores the multidisciplinary approaches to analyzing this risk, the data requirements for further research, and the recommendations being made to avert financial crisis. The Handbook is designed to encourage new researchers to investigate a topic with immense societal implications as well as to provide, for those already actively involved within their own academic discipline, an introduction to the research being undertaken in other disciplines. Each chapter in the Handbook will provide researchers with a superior introduction to the field and with references to more advanced research articles. It is the hope of the editors that this Handbook will stimulate greater interdisciplinary academic research on the critically important topic of systemic risk in the global financial markets.